This morning as I contemplated life, I realized that Peace stands alone as a human concept. Peace must be consciously accepted. We are programmed, often unconsciously to hate – but Peace is a conscious concept. Peace is an inner core that develops through usage. I am feeling very peaceful today and it is a glow that can actually be perceived by others even though they are not sure what they are seeing. 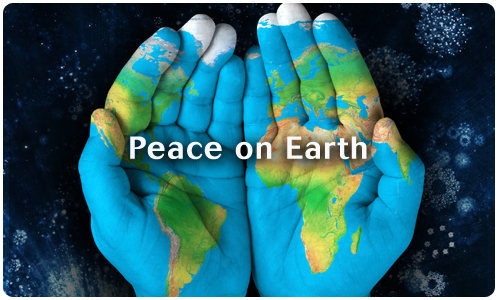 Help me to spread the PRACTICE of world peace..
Peace on Earth is a Verb, not a thought. ACTION with the INTENT of Peace is required. Today is the first day of 2016 and the first day of the rest of your life… join a MOVEMENT for Peace. An unending circle of peaceful energy will vibrate daily creating a wave of thought towards Peace. We are all One. Connecting as One is a powerful energy. 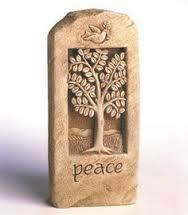 Th basic elements of Peace will be the focus this year. Please feel free to comment below. I would love to have your thoughts and invite you to read my thoughts of Peace. Happy 2016! Pope Francis came to America this week. He came at a time of internal strife that rivals no other time in our history. The strife is religious, ideological, racial and economic. In the midst of this strife, the media has chosen to focus on the religious, ideological, racial and economic overtones of his visit. What I see as he waves gracefully from his Pope-mobile and/or Fiat is peace. This Pope deliberately chose a symbol of conscious peace for his name and has consciously chosen to demonstrate peace in action. As he visits each country, a little more of peace consciousness is deposited. As a people, we can choose to focus on the Church doctrines that have not been overturned or we can focus on the peaceful countenance before us. He promotes caring for the poor, economic sharing and seeing a connection between ALL humans as we live on this earth. I am not Catholic, but I hold him in the highest reverence not for his position but for his actions and his heart. Days after the September 11 attack, Oprah presented a panel to discuss our next actions. Marianne Williamson was a part of the panel and suggested that we form small groups to pray for peace. I had no clue regarding conscious shifts at the time, but now I clearly see her intention. Peace consciousness is attainable. 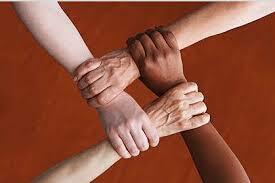 It requires a critical mass of humans desiring Peace continually at the same time. That is the goal of this site – to promote a critical mass action. Will you join me and others? Everyday at noon (wherever you are in the world) say these words “Peace be with you and Peace be with the world.” Form small groups to pray for Peace in your community until SHIFT happens! There is a plague in the world that has killed more men, women and children one hundred fold over all diseases – the name of that plague is war – a system perpetuated by a profound, continuous disconnect. Every person we perceive as ‘the other’ represents a disconnection. It is no coincidence that we dehumanize our chosen enemies on fields of war with names like ‘gooks’, Jerrys, ‘japs’, ‘towelheads’ etc. A soldier needs to believe on some level that he is not killing human beings, instead he is killing ‘others’; those who are somehow not the same as themselves. Killing is not normal. The weeks of military bootcamp are training a soldier to fire on command; to believe that there is an other – an enemy- who means him harm and to believe that killing is necessary (in this instance). It is only through a belief that he has killed ‘others’ that a soldier can return to civilian life as a loving and caring father, son, husband and community bleeding heart. He is not plagued with nightmares of killing other fathers, sons, husbands because his training disconnected them from humanity. All war and strife will dissipate with connection versus separation. We are all divinely created. We are all divinely connected. Notice the next time you dislike someone’s actions, presence or character as being off putting or even threatening. List the things that you see as being off putting and what your list will contain is a list of reasons they are unlike you. Then, list the ways you are the same from having two legs, two arms, a nose, hair, a heart etc. I guarantee that the list of similarities will always be longer than the list of perceived differences. As I watch the giant leaps in progress in most areas of society, I am astounded at the rapidity. Each and every day I feel as if I am already living in a once imagined future. Drones are becoming necessary and available. Books can be ordered online. Anything can be ordered online. Flat screen TVs are hanging on the wall. Homes can be programmed to function when you are away. Cars can parallel park themselves. Wholesome dinners can be prepared in less than an hour. Ideas about the roles of men and women are opening. Cruelty to animals is seen as being a choice and unnecessary. Oppression is being questioned. Travel to other planets is an everyday thought. Telephones are mini-computers. Fitness can be programmed. So many. many changes and steps forward in the evolution of man – except in one area – War. Why are things changing so rapidly? 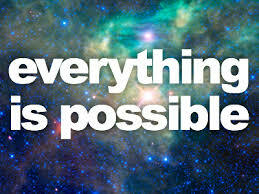 Because so many of us believe that EVERYTHING IS POSSIBLE! We are embracing the idea that thoughts are things and that if we can imagine it, we can build it. However, it is evident that we have not embraced the concept of the impracticality and uselessness of war. We continue to define mankind in concepts of conflict and resolution. We build museums to war. We have holidays to commemorate wars. Is there a place in a Memorial Day Parade for a Peace March? We visit battlefield sites – not to contemplate peace but to remember the wars and the suffering. This space is dedicated to PEACE. This space is dedicated to believing in PEACE. This space is dedicated to actively invoking PEACE. 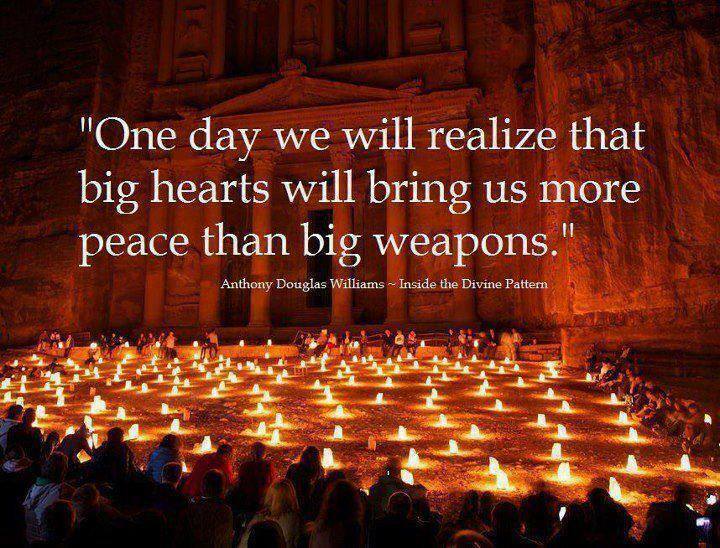 When we believe that PEACE is possible – it will evolve. Take this small step and join me in a worldwide invocation for PEACE. Key# 16 The minimum number of people required to ‘jump start’ a change in consciousness is the square root of one percent of a population. I recently read the book, The Divine Matrix, by Gregg Braden for the first time. Of course, I took note of his formula for a change in consciousness. I was reminded of an occasion on the Oprah Winfrey show right after the 9-11 plane crashes when Marianne Williamson suggested that our response should be world-wide peace prayer groups and no one listened. I knew in my soul that she was correct in her suggestion and was astounded that no one on stage acknowledged her promptings. To prove that we are all truly connected, this blog makes the same suggestions before knowing the mathematics posed by Braden. I will keep posting until this idea takes hold. Join this consciousness change movement. This human needed a moment to let it all soak in. Although this rampant exhibition of violence was mind-numbing, it is just a small piece of what is happening in many places around the globe everyday. The funny thing is that the radicals DO NOT outnumber the traditionalists by even a close margin in all of the affronts. One day we will question why the traditionalists quietly allow a few to sully the waters. Let’s dream for a moment. 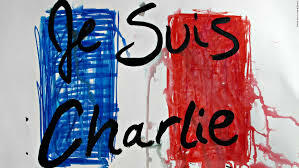 What if a growing number of traditionalists had chosen to pray outside the office of Charlie Hebdo for an indeterminate amount of time. What they would be praying for is irrelevant. Day by day, they appeared and peacefully prayed. Would the newspaper’s editors have taken a different road by actually seeing and feeling the calm energy of non-radicals in a religion under attack? We will never know. Non-violence is effective but those who seem willing to practice it in numbers large enough to cause a ripple may be a thing of the past. The traditionalists were possibly just as unhappy with the activities of the newspaper – but they were silent. The old adage that ‘the squeaky wheel gets the oil’ has changed to ‘the squeaky wheel gets the press’ and the press determines public perception. What I know for sure is that there are more people on earth who long for peace than there are people on earth who long for disruption and warfare. This blog is written in an effort to raise the voices of the silent dreamers of peace. If those who want peace used their voices once a day in unison, there would be a change in atmosphere that the world has never known. This movement is only possible because of access to worldwide technology to synchronize our desires. Please join me each day at noon, wherever you are in the world, and exchange these words – “Peace be with you and peace be with the world.” It will feel like its always noon somewhere as the chant surrounds the earth.